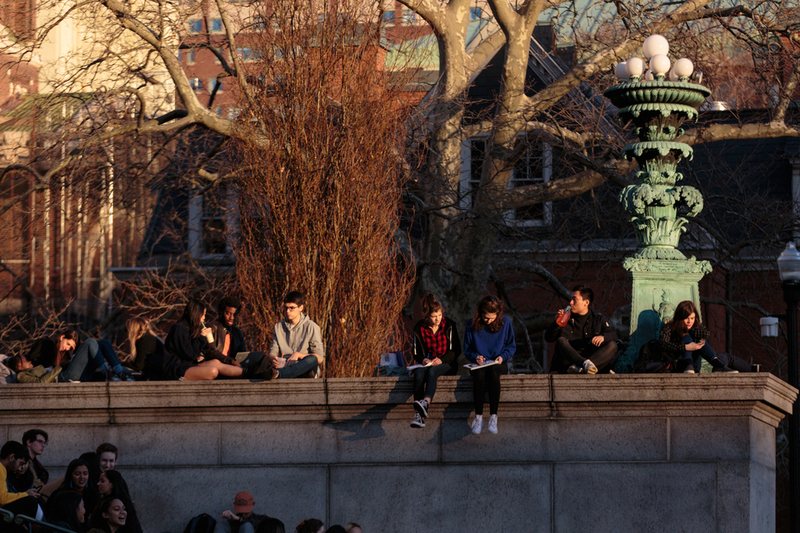 The protest, which was monitored by eight NYPD officers, was attended by fewer than 15 Columbia students. 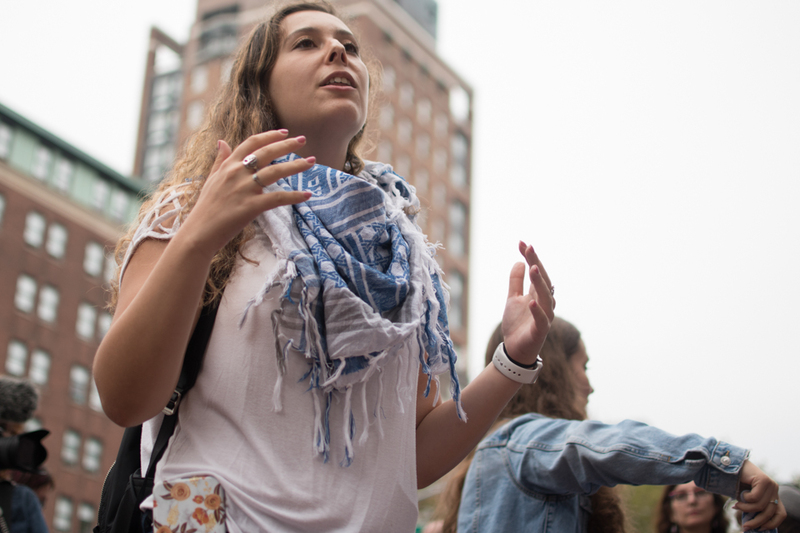 Last Thursday, close to 40 protesters gathered on Low Steps for a protest organized by Students Supporting Israel, chanting, carrying signs, and shouting grievances with Columbia. 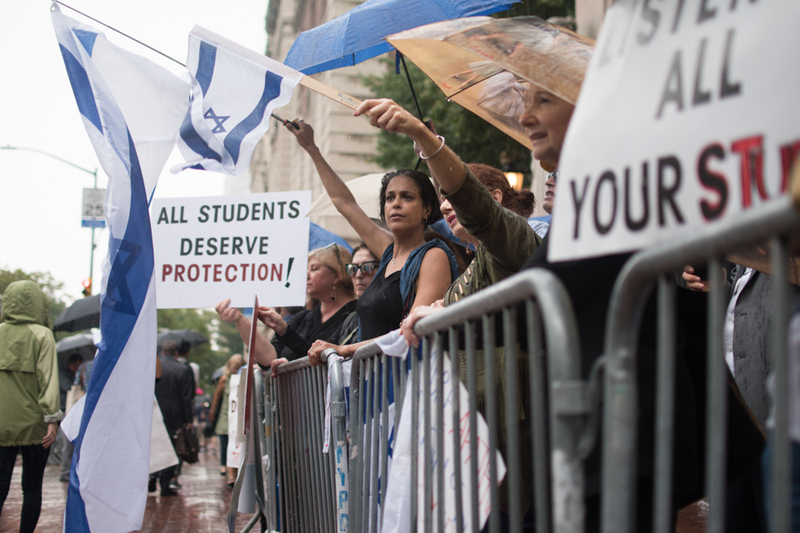 The protest, which was monitored by eight NYPD officers, was attended by fewer than 15 Columbia students—the majority of those in attendance were from outside, pro-Israel groups. 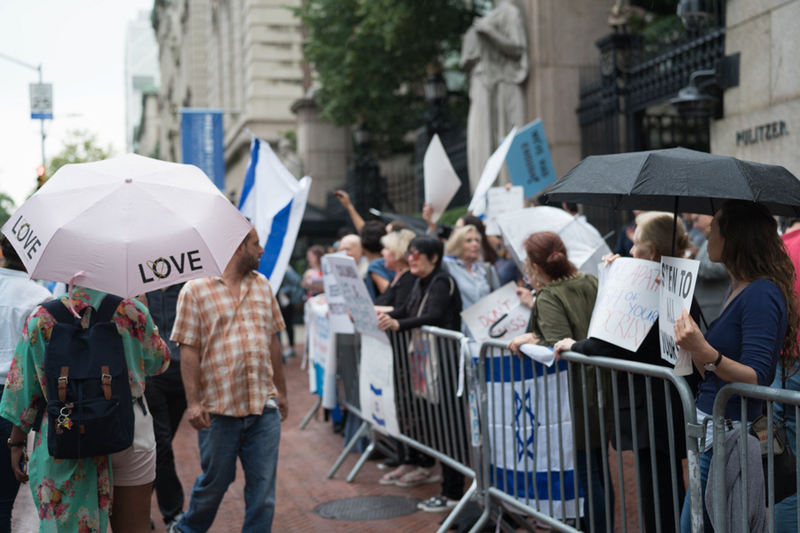 Its primary audience was off-campus, too—Thursday’s demonstration on campus was reported on by at least 10 separate Jewish or Israeli news outlets, while many students passed by unaware. 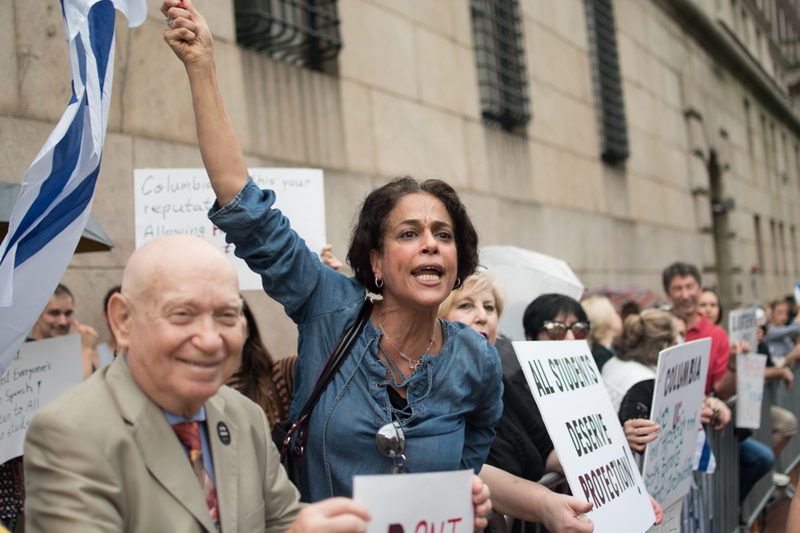 In recent months, SSI has leveled claims that members of Students for Justice in Palestine, Columbia University Apartheid Divest, and Jewish Voice for Peace have threatened SSI’s members, recruited activists to disrupt and shut down SSI’s speakers, and vandalized SSI flyers, violating the Rules of University Conduct. 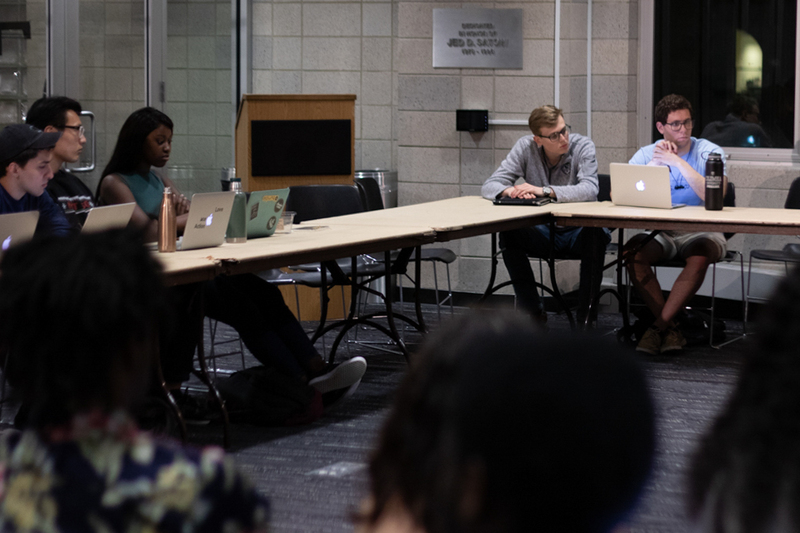 In a report filed to the Student Governing Board, SSI called for pro-Palestine groups to be disciplined, and at Thursday’s protest, the group called on Columbia to further sanction pro-Palestine groups. 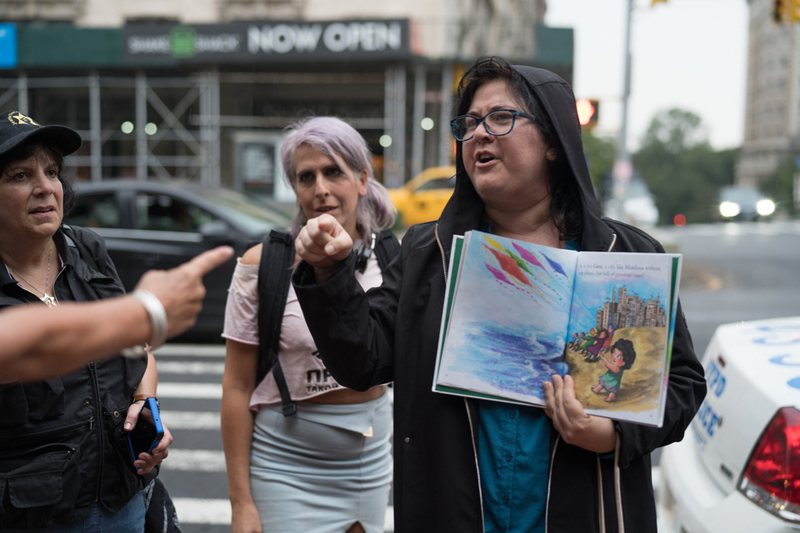 SSI’s allegations against pro-Palestinian groups, comprised mostly of anecdotes, are difficult to definitively prove, and some allegations—such as yelling and protesting SSI events—could be interpreted as permitted forms of protest. 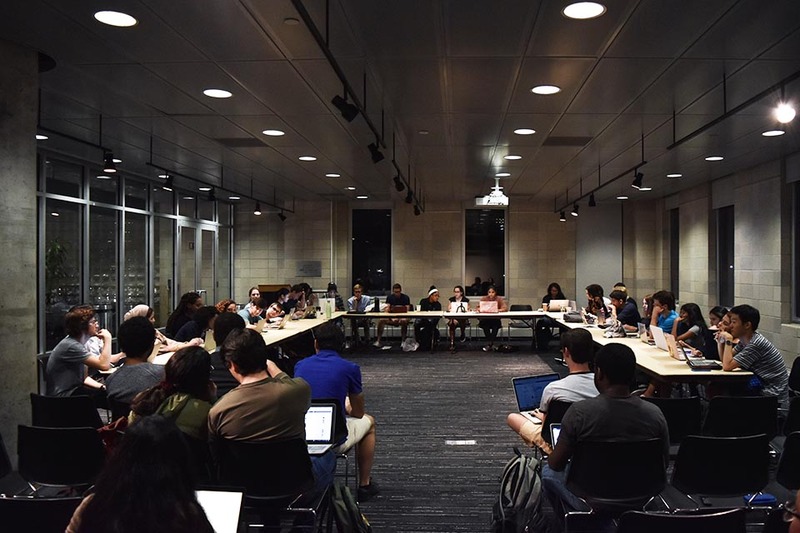 According to SSI President Dalia Zahger, GS ’19, Office of University Life Executive Vice President Suzanne Goldberg said she would not act on the accusations due to lack of evidence (Goldberg declined to provide comment to Spectator, citing a policy against discussing individual cases). SJP member Naye Idriss, CC ’20, denied that members of her group participated in harassment of SSI members. “No one has actually ever physically or verbally assaulted, from my knowledge, from our group, anyone from the other group,” Idriss said. 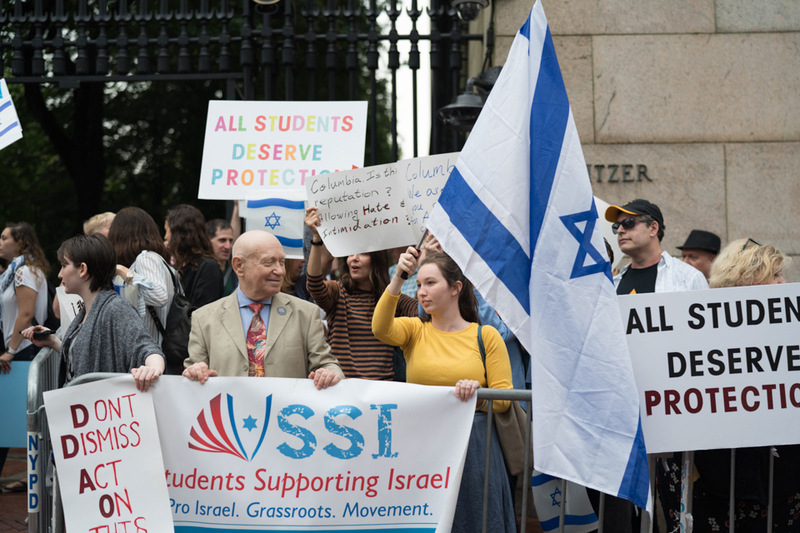 The protest follows a New York Post article describing the alleged “bullying” experienced by SSI Vice President Ofir Dayan, GS ’20, who is the daughter of the Israeli consul general. 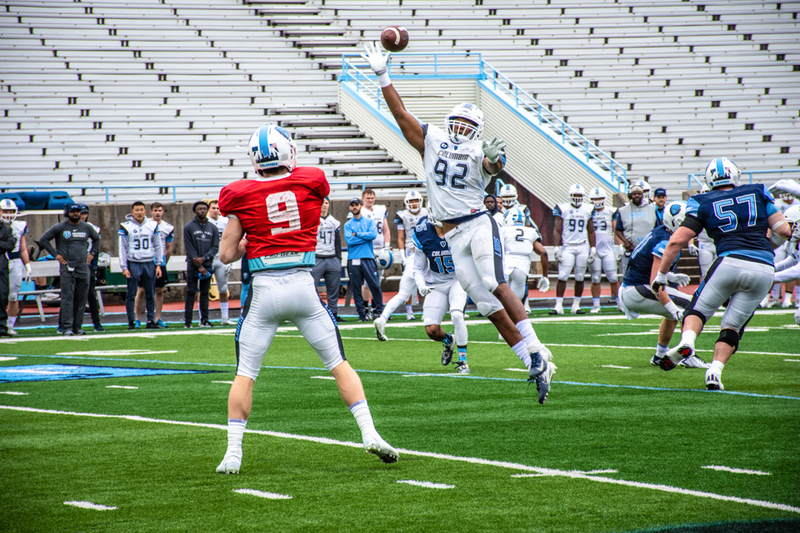 “[Dayan] doesn’t feel like this is something that she specifically is going through. 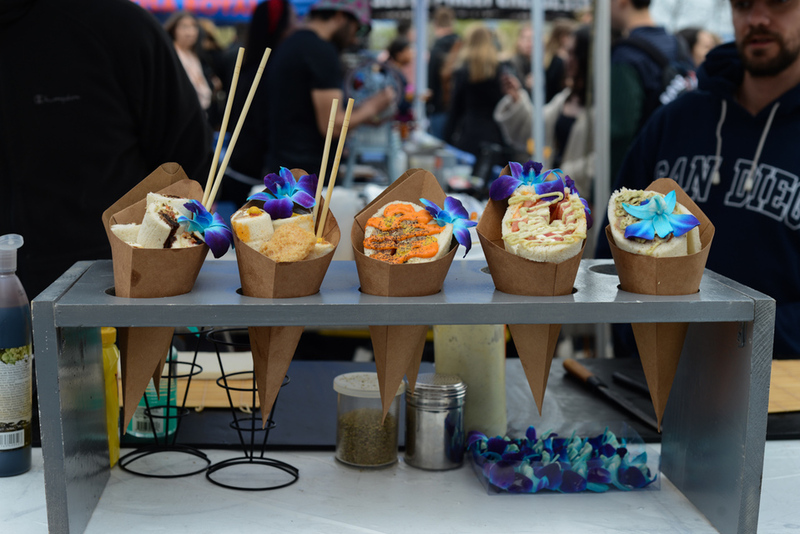 She knows that this is something that we as a group have been working on and trying to handle and change… We did get a lot of response because of [the Post article], not necessarily the [response] that we wanted, honestly,” Zahger said. 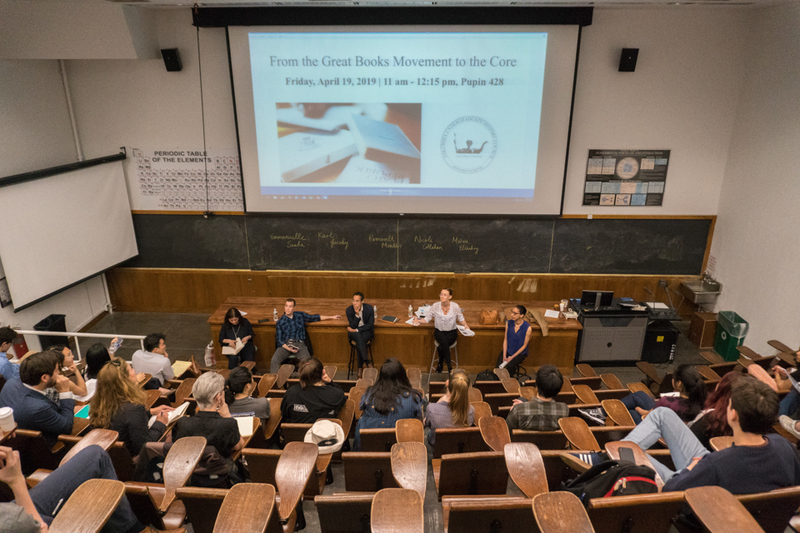 Members of Students and Parents Against Campus Anti-Semitism, as well as members of Alums for Campus Fairness, an alumni organization that aims to counter anti-Semitism on college campuses, demonstrated in solidarity with SSI. 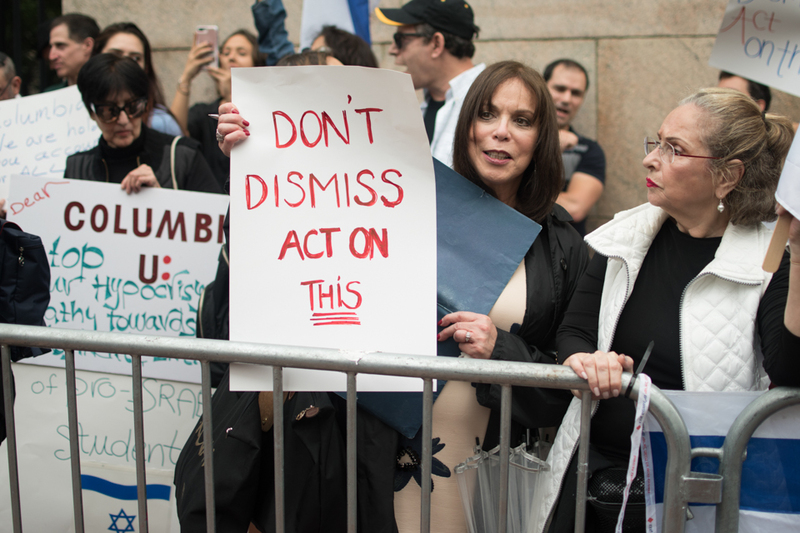 Members of the Jewish Defense League, a right-wing activist group which has been labelled a terrorist organization by the FBI, also attended, but were asked to leave the protest by SSI members. 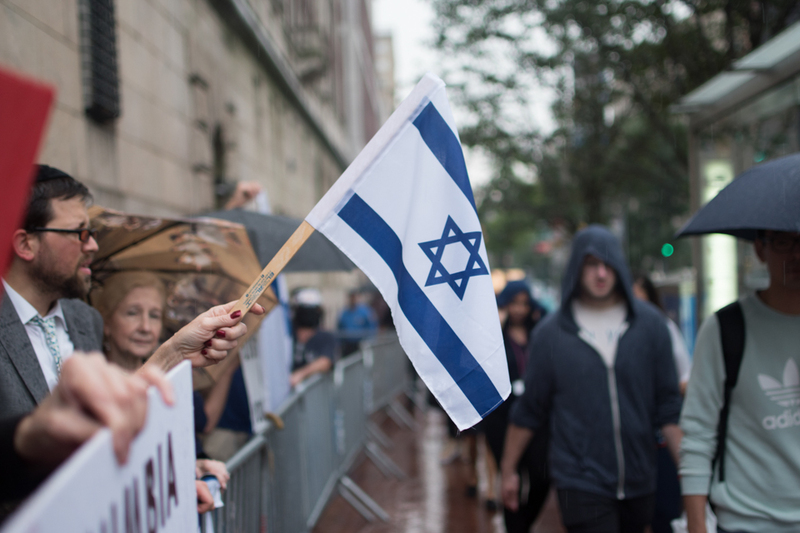 Aaron Bandler, a reporter for the Jewish Journal who covers anti-Semitism on college campuses and who wrote about the SSI protest, said that he has seen an increasing pro-Israel pushback on the BDS movement. 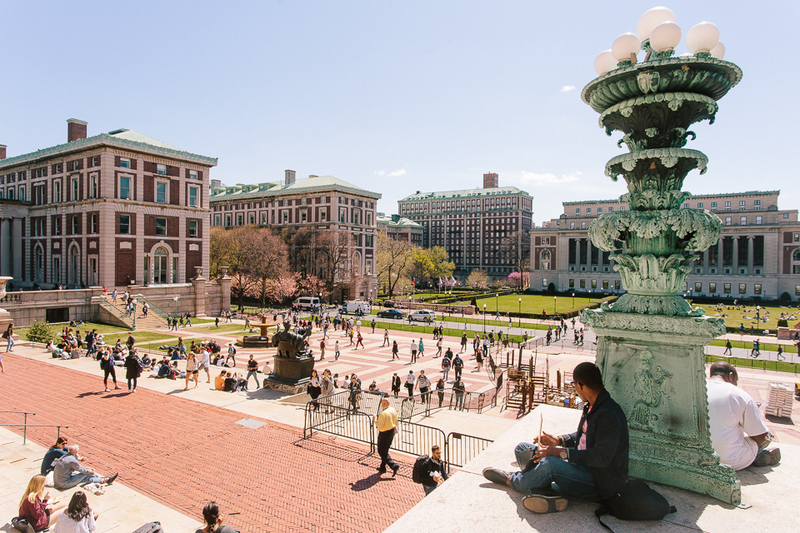 “It does seem like Columbia’s anti-Israel problem seems to be worse than Harvard and Yale … I think the culmination of [the Barnard referendum] and the various things that Columbia professors say contributed to this kind of backlash,” Bandler said.